Buy wholesale plastic shot cups from the leader in restaurant and bar supply. We stock the famous disposabomb shot cups in clear and green and normal plastic 1 and 2 oz shot glasses form WNA and Emi Yoshi for your bar and restaurant needs. 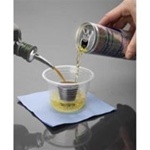 Keep the party rolling with our economic disposable shot cups. 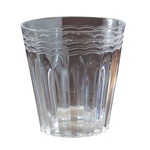 Perfect for fraternities, parties, bars, and catering events. 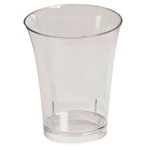 Don't waste time cleaning glass or picking up broken glass when you can use disposable shot cups. EMI Yoshi Plastic Neon Extra Heavyweight Shooters Clear - 1.5 Oz. EMI Yoshi Plastic Neon Extra Heavyweight Shooters Yellow - 1.5 Oz. EMI Yoshi Plastic Neon Lights Shooter Glasses Clear - 1 Oz. EMI Yoshi Plastic Neon Lights Shooter Glass Red - 1 Oz. 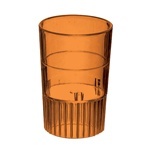 EMI Yoshi Plastic Neon Lights Shooter Glasses Orange - 1 Oz. EMI Yoshi Plastic Neon Lights Shooter Glasses Yellow - 1 Oz. 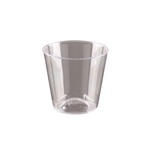 EMI Yoshi Plastic Clear Ware Shot Glasses - 1 Oz. EMI Yoshi Plastic Neon Extra Heavyweight Shooters Red - 1.5 Oz. EMI Yoshi Plastic Neon Extra Heavyweight Shooters Orange - 1.5 Oz. EMI Yoshi Plastic Neon Extra Heavyweight Shooters Multi Colored - 1.5 Oz. 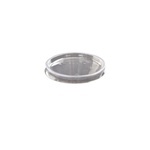 EMI Yoshi Plastic Small Wonders Resposable Shot Glasses Clear - 2 Oz. Buy your disposal plastic shot cups for any foodservice establishment or bar. Liven up the joint by letting your waitresses walk around selling jelly shots and bomb shots.